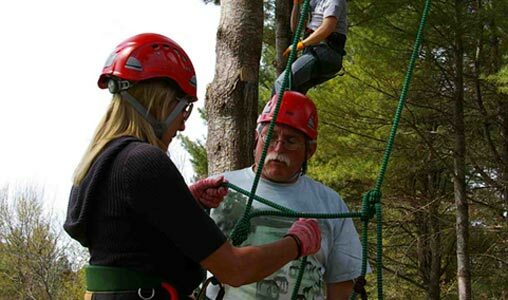 Penny Hill Tree Climbing LLC is truly a World Class facility for experiencing North Vermont's finest scenery and forests. Located in Danville Vermont just a few miles outside of St. Johnsbury near I-91 and I-93. The facility sits at the top of a vineyard with a 50 mile view of the white mountains. There are hotels and Sugar Ridge campground (www.sugarridgervpark.com) nearby. 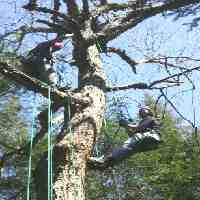 This year Penny Hill Tree Climbing LLC will also offer classes for select dates (to be determined) in the Jay Vermont area near Jay Peak. 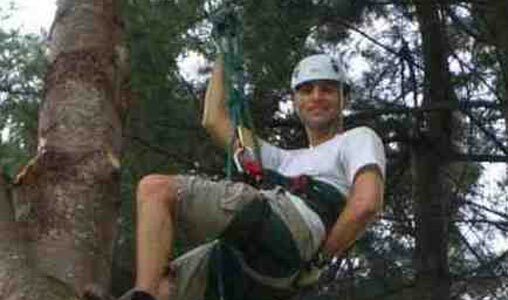 Your instructor Gary is a certified NETC Instructor with years of experience as an arborist and instructor. His love and knowledge of trees and the outdoors is obvious as soon as you meet him. He has a gentle and humorous teaching style making his students feel right at home. This makes for an excellent learning/fun day. 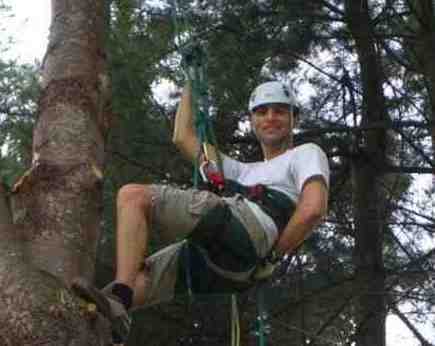 The class is for those who want to work in the trees without ladders and bucket trucks. It stresses the Double Rope Technique (DRT) with an overview of the Single Rope Technique (SRT). The class is 1 day and special arrangements can often be made if the posted schedule is not convenient. 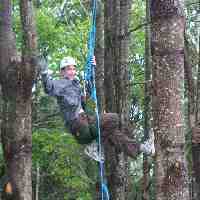 The day starts off with the basic lessons about safety and technique and then afterward a climb in the trees already set. 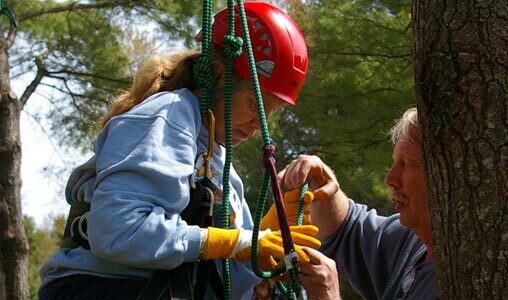 Then it’s off to learn more about how to select the proper trees; how to throw and set the ropes; what sort of ropes and other equipment is needed; how to tie the proper knots etc , various methods to enter trees and move safely within the canopy are taught. Additionally Students get to see and try the latest industry equipment for climbing that will allow them to spend their time on the job efficiently. The afternoon is spent practicing and the student gets to use everything they have learned, selecting the tree, throwing and setting the ropes and then they climb the tree using the method they prefer.“ All equipment is provided except work gloves that the student needs to bring. Camping overnight is available with advanced approval. Upon course completion a NETC certification card and certificate is issued. Among other things this provides equipment discounts with the major suppliers. $300 single or $280 per person for you and a friend. Dates shown are flexible and weekdays are preferred and readily available upon request. REGISTER ONLINE NOW FOR A CLASS!